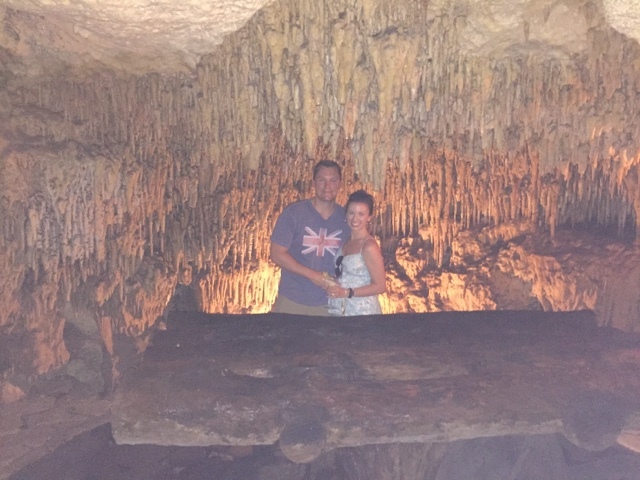 SMIDGE OF THIS: Our Mexico Trip! Last week's trip to Mexico was just wonderful. We were looking for a fun way to celebrate our fourth wedding anniversary. For year one, we went to New Orleans. Year two took us to Europe (France, Switzerland, and Italy). Year three - we stayed at home with our two-week old newborn babe! And for this fourth year, we wanted a quick, direct flight, a beautiful all-inclusive resort, and a lot of lounging around. We got exactly that. 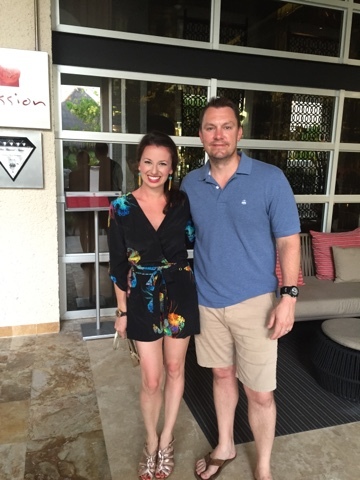 My sister and her husband had such a marvelous resort experience on their honeymoon and had nothing but rave reviews about Paradisus La Perla in Playa del Carmen. 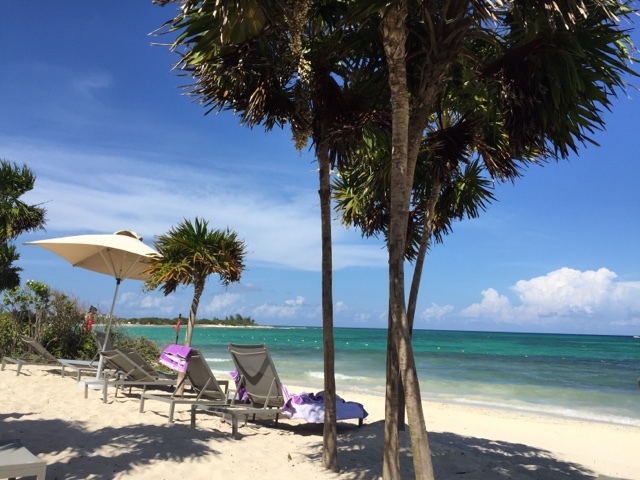 I'd visited Playa del Carmen before and loved it, so I was excited to see the area again. The reviews on TripAdvisor were great, and I ended up searching several sites for the most competitive rate and settling on cheapcaribbean.com. I was a little nervous not booking directly through the resort, but we ended up having a very positive experience using that booking site and it was quite easy. I was even able to add in round-trip transportation from the airport to the hotel (about 45 minutes away) when booking -- one last thing for us to have to deal with upon landing and returning home. Upon checking in to the resort, we were greeted with sparkling champagne and macarons ... not a bad touch! We did decide to pay a little more for the Royal Service upgrade. 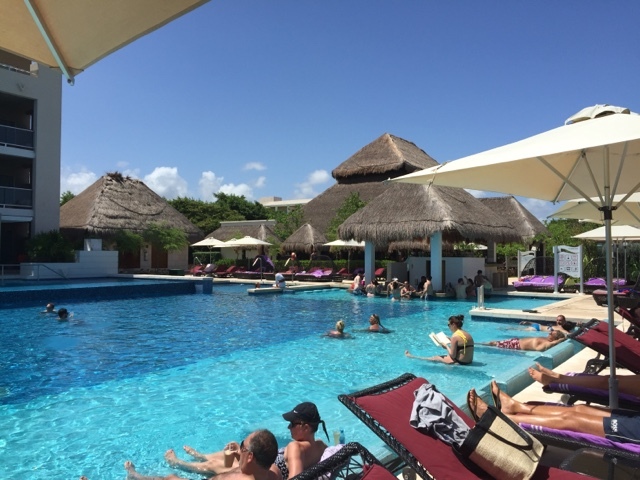 This upgrade allowed us access to a separate part of the resort with a smaller, quieter pool, more top-shelf liquors, an open-air restaurant that serves all three meals called La Palapa, and a personal concierge to help us with anything we needed. Our arrival time was around 4:00, so for our convenience, our concierge had already set us up with a dinner reservation that evening at The Market, which is an Argentinian steakhouse where they serve dinner Rodizio-style ... big salad bar in the center of the restaurant and the waiters walk around with large skewers of various meats to cut off and serve you until you are full. After dinner, Ian and I walked around the resort a little and walked down to the ocean to put our toes in the sand. The next day, Wednesday, we spent a good amount of time at the pool in the morning. Ian went to the gym so I had some solo time to read before he joined me. 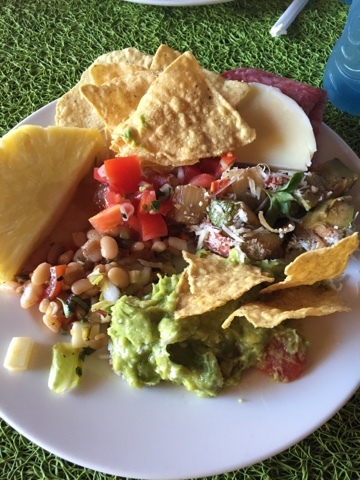 We had a simple lunch at the buffet at The Grill and then got ready to go to Fifth Avenue (downtown Playa del Carmen) to walk around for a bit. 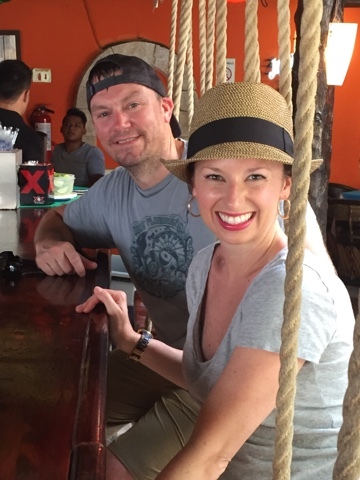 After walking all over downtown Playa, we stopped into a cute bar for a cold beer. It was so hot outside! Later that evening, after cleaning up a bit, we stopped in for a pre-dinner martini at their onsite martini bar (the Spicy Tamarind martini was my favorite ... made with habanero-infused vodka!) and then went to a sushi dinner at Bana. Super dinner, but not the best service that night. The next day was our wedding anniversary! We started out our day at breakfast at La Palapa, went to the gym together, and then hit up the pool. 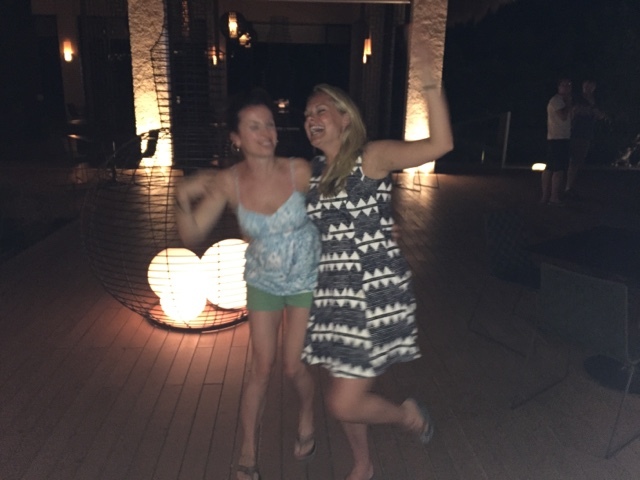 We met a really sweet couple from London by the pool and had the best time chatting with them. That afternoon we enjoyed a couples massage at YHI spa ... highly recommended! I'm usually not one for couples massages but this was a great way to celebrate our anniversary day. Ian went with the deep-tissue massage and I chose the more relaxing version. Later that evening we got together with our British friends before our dinner reservations and attended a wine tasting. 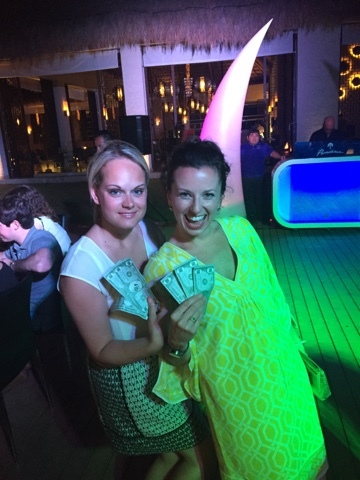 We split up for our dinners (we had an amazing supper at their Latin-fusion restaurant called Fuego ... our favorite dinner of the entire trip) and then got together again afterwards for the resort's Casino Night. We all went to the little nightclub afterwards together before calling it a night! 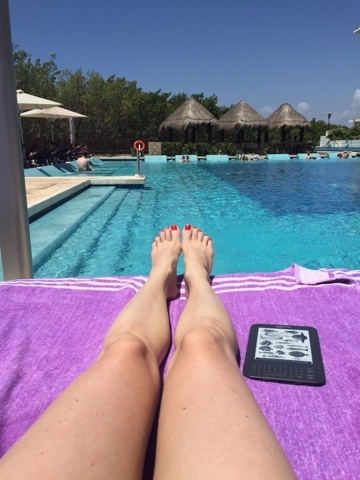 On our last full day, Friday, we went back to the spa (the Royal Service upgrade gave us daily access to the spa pool, jacuzzis, steamroom, sauna, and facilities) to relax at the pool and read. Later that afternoon is when we spent a few hours sitting by the ocean ... and immediately wished we had more time to spend there. 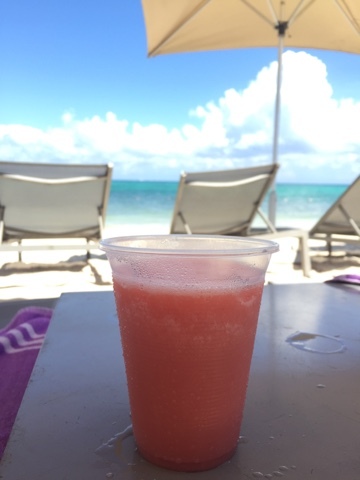 We enjoyed the breeze coming off of the water and also cooled off with yummy Rum Runners. 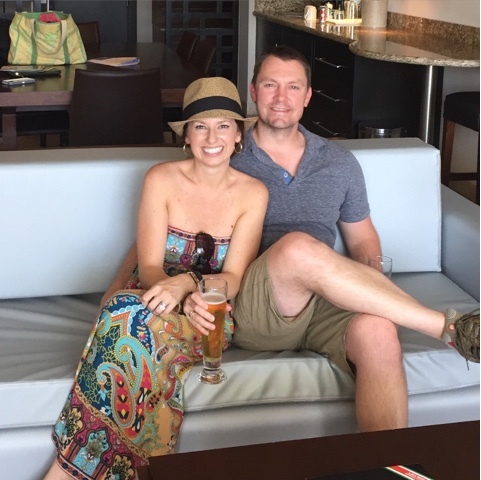 We were so surprised to return later that afternoon to our room and see that our new friends had purchased our favorite bottle of Mexican wine from the previous night's wine tasting and had it sent up to our room for our anniversary! They included the sweetest note with a little inside joke that we laughed together about the previous night. What awesome folks. 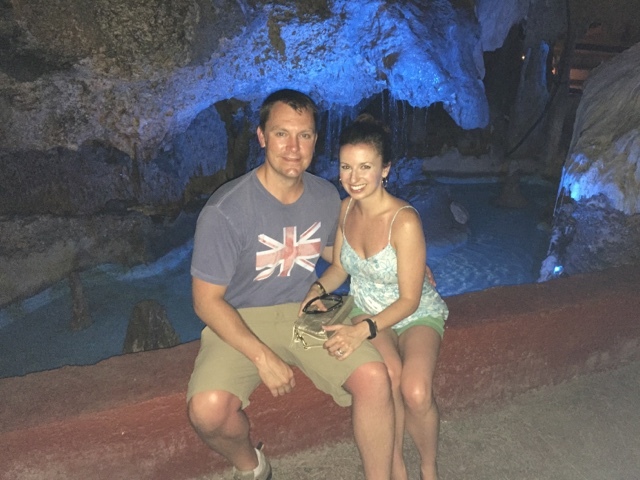 We had plans to mee them at 5:45 and hop in a cab with them to downtown Playa to check out Alux (pronounced "Uh-loosh"), a restaurant and bar that my family has visited that is actually below ground in a cave! 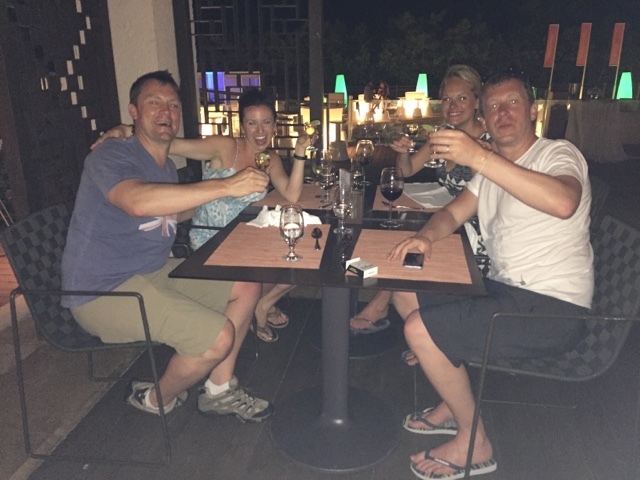 I was so excited to see the facial expressions of Ian, Sarah and James as we descended down into the caves to have a pre-dinner drink together. They were all in awe! I am normally one to skip out on shots, but they have a specialty shot bearing the restaurant name that our waiter said was great. 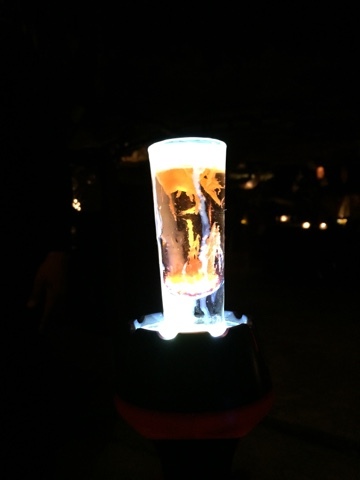 We were so impressed with how it looked - a quick drop of Bailey's into the shot gives the appearance of a cave's stalagtites and stalagmites! 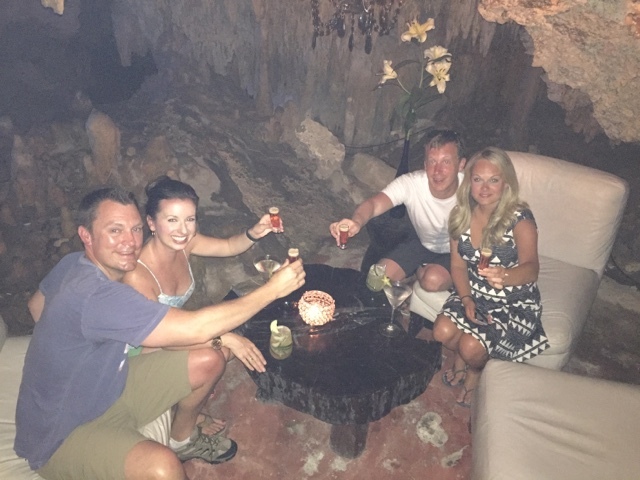 Once we had our cocktails in hand, our waiter gave us a tour of all of the caves. It was breathtakingly beautiful. This is their main bar. If you are ever in the area, this place is a true experience. We were just having such a great time together that we all decided to ditch our separate dinner reservations back at the resort -- we cabbed it back and ended up being able to all have dinner together at The Market ... where we had a very tasty dinner and I somehow got roped into another shot. Blehh! From that point on, many other photos were taken which will just have to survive in the safety of my phone. Lawdamercy. Crazy times with this beautiful couple, and Sarah and I may have crashed a wedding reception for a spin around the dance floor before we felt guilty and danced right out (so embarrassing but hilarious). We will definitely be keeping in touch with them ... they are just a blast and a wonderful couple! The next morning was a bit rough -- the wake-up call came at 6am and we were being picked up by the shuttle at 7:10am. The light at the end of the tunnel was that we were SO excited to see our baby again after 4 nights away and spend a wonderful evening with her! If you are looking to vacation in Mexico, I would highly recommend this resort. I have a feeling this will not be our last trip there! Sounds like a freaking blast! Love that you crashed a wedding. ha. oh my gosh, how fun!! And seriously so awesome you met some friends, that makes a trip even more fun. And now you have some lifelong friends!! 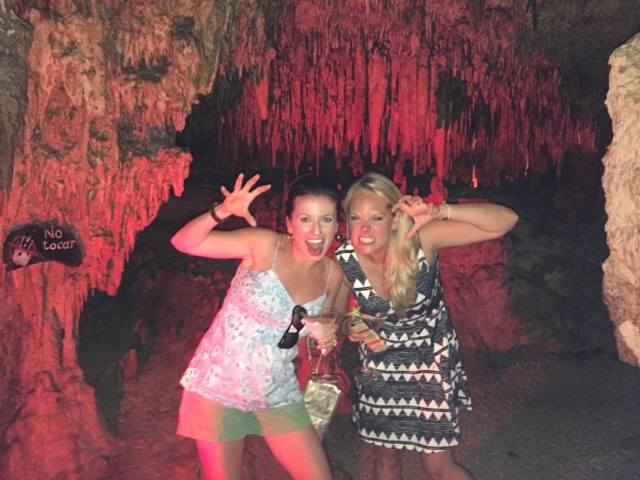 I just got back from mexico and got all my adventures blogged about, too! I will for sure be looking into this resort for our next Mexico adventures :) royalty service sounds AMAZING!!!!!!!!!! so much fun! we met a couple like this on our honeymoon and we still keep in touch with them! love your black jumper! Looks like a great time! I love the black romper you wore! What an amazing vacation! Happy 4 years! 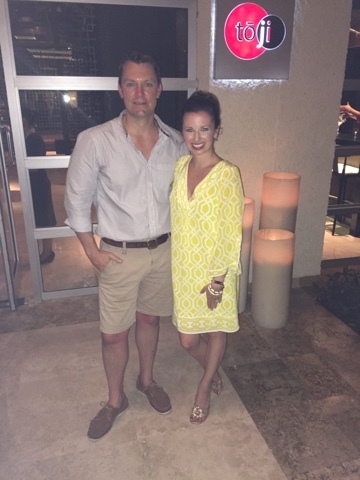 We honeymooned at Paradisus La Perla last year after our wedding and absolutely loved it! Reading this makes me want to go back! what a great trip! This was what we hoped our honeymoon would be like, but was sooooo the opposite that we left after one day (in the DR). 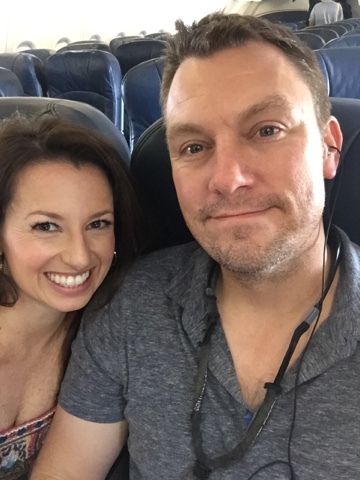 This makes me want to book a trip with my hubby! Love that you met such a fun couple! This looks like such a fabulous trip - I lover reading about travel experiences! 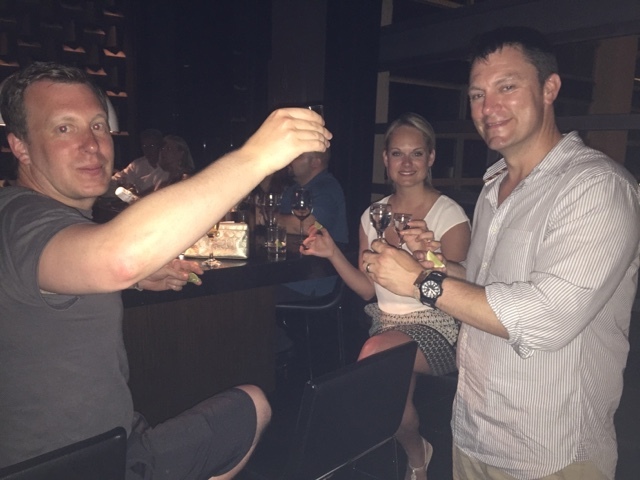 So fun that you had such a blast with the couple from London; we love meeting new people in our travels! 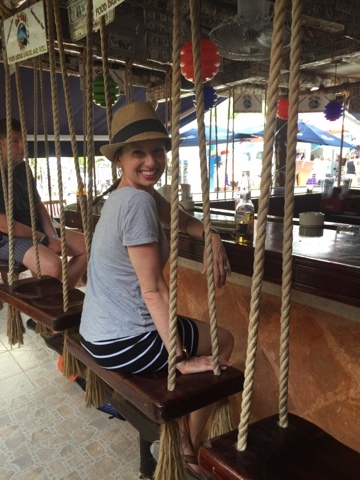 I love the one bar where you got to sit on a swing! Cheers to four years, lady! 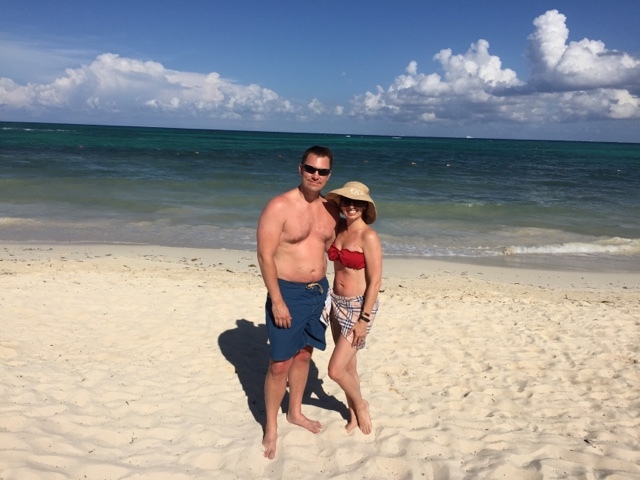 My hubby and I are also big fans of Playa del Carmen! 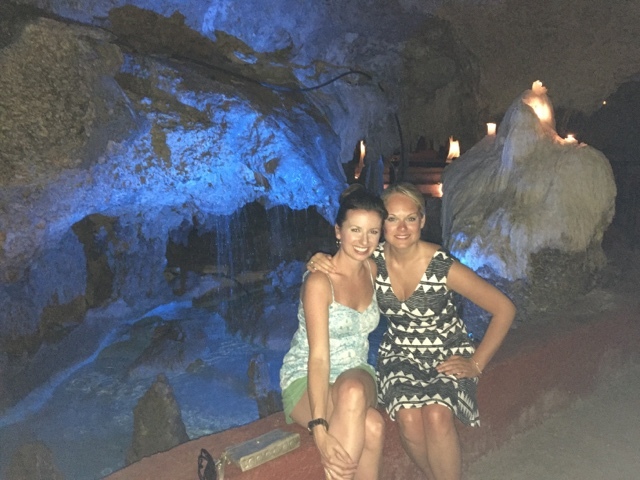 I will certainly be adding the cave bar to our list of "must-do's" for our next trip. Thanks for sharing! Looks like you guys had a blast! As much as I love being with my husband sometimes it's nice to have another couple to hang out with! 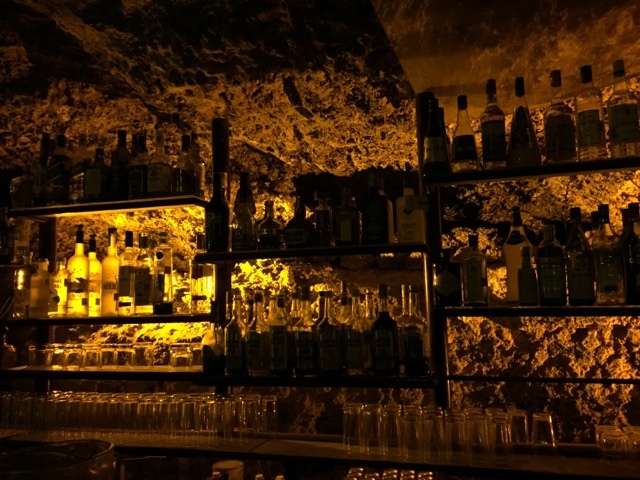 That underground bar looks amazing! Thank you for sharing. Keith and I are going next Saturday. We are at a different resort but we must try this restaurant. Did you have to make a reservation to go for drinks? Did you eat there? What a fun trip! That bar inside the cave looks so awesome! Looks like an amazing trip! Happy Anniversary!! I leave for Mexico on Sunday so reading your trip recap has me very excited! Your hat looked adorable on you. Also, I hope our resort has a fun cocktail bar so I can get something similar to your spicy martini! The cave looks so cool!! What a neat experience! 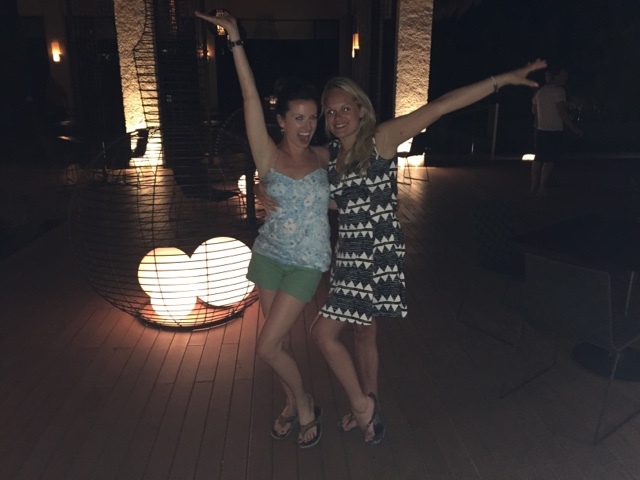 Also...we stayed at a Paradisus Resort in Punta Cana when we there this month!! Looks very similar to yours!! Oooh these pictures make me want to go back to Playa RIGHT NOW. Best place for a vacation ever! 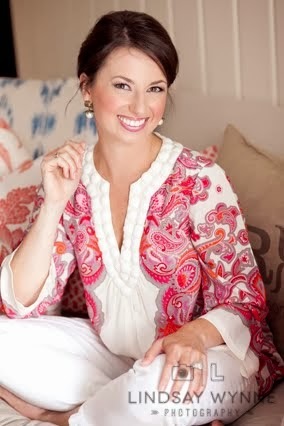 Would you do a post on where your outfits are from, please? I'm loving them! Hi! Great post! If you ever return to Cancun and need the service of Cancun Airport Transfers do not hesitate to contact them. I recommend it!